I always love reviewing the rich truths and prophetic realities of God's Feasts (appointed times). In Leviticus, very early in the history of the nation of Israel, God appointed seven times each year when His people would stop what they were doing and remember. The feasts served as a reminder of what God had done, how He had provided, and what He was going to do in their life as His people. For many Christians today, we have forgotten or ignored these amazing feasts. For some, we feel that these were for the Old Testament, or are limited to the Jews. The truth, however is that these feasts and celebrations are so rich in truth and history that every believer can see their faith deepened if we'll just stop what we are doing and choose to celebrate the feasts. In doing so, we are welcomed into the realities of God's eternal story as well as His story He has been writing since the earth was created. 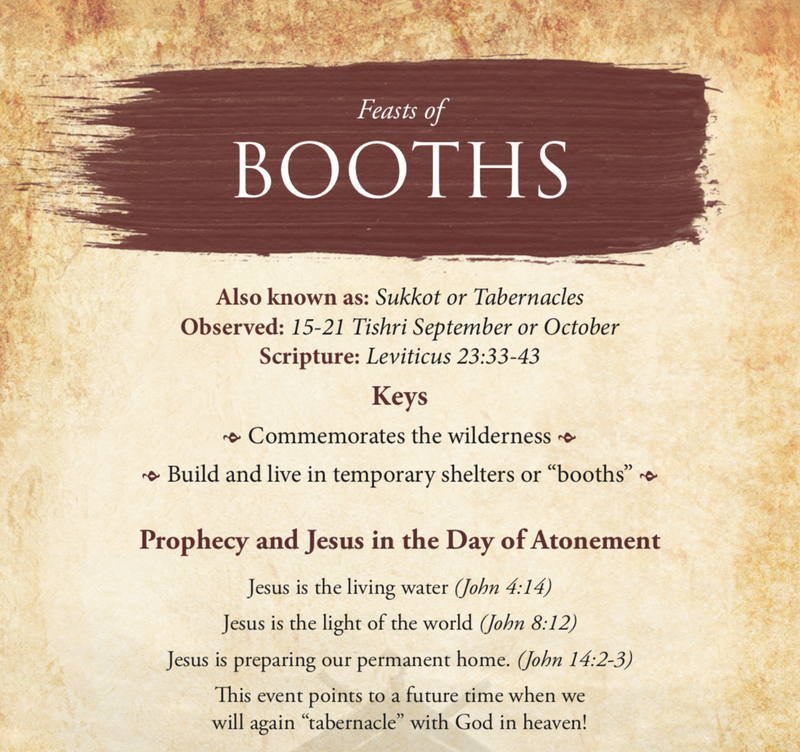 On Sunday, we looked at the final Fall Feast; The Feast of Booths (Tabernacles and Sukkot are other names for it). In this feast we are welcomed into the pictures of how God's people lived in temporary tents and booths when they came out of Egypt. We are reminded that Jesus came to "tabernacle" with us when He came to earth in human form. And, we are reminded that one day, Jesus will return and we will all "tabernacle" and live together forever! In Tabernacles – Jesus Returns to Dwell with us! 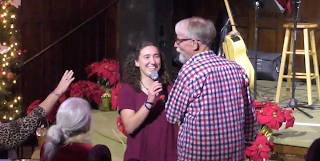 If you missed the service, you can watch it online at our website, or click below. What will you do to celebrate Tabernacles (Booths) this year? Who can you share your story and God's story with?